Right off of Golden State Highway! 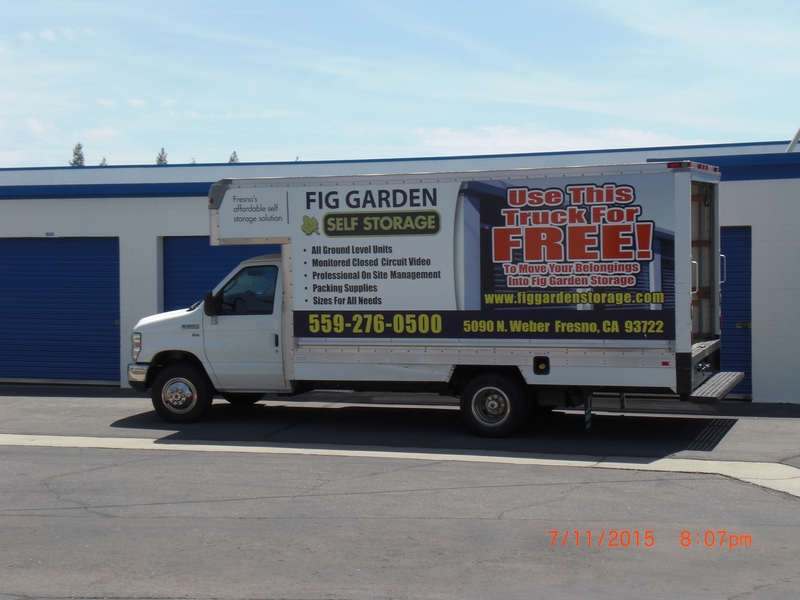 Fig Garden Storage offers all the convenience, affordability, and customer service you need to complete your self storage needs. Our facility is convenient to just about any resident or business in the Fresno, California area. Because of our location on Golden State Highway/CA-99, you can get here quickly from all of the communities surrounding the city, including Selma, Kingsbury, Fig Garden, Barstow, Rolling Hills, Sierra Sky Park, Muscatel, and Clovis, California. Look for our facility near the intersection of N Golden State Boulevard and W Shaw Avenue, just across the street from Costco Wholesale and the Range Pistol Club. If you’re in the market for a storage unit, then you’re probably thinking about the security of the facilities you are considering. Luckily, Fig Garden Storage offers some of the most up-to-date security features available to the industry, providing you a great place to store your belongings. Our property is protected by more than just perimeter fencing and electronic gate access. We also employ a system of security cameras and secure each unit, even when not occupied. Our manager even lives on the property, providing an added layer of security that you won’t find at many other storage facilities! We understand that you need all the conveniences and features you can get to complete your move quickly and with confidence. At Fig Garden Storage we offer all the best features and amenities to help you get the job done, including extended office hours seven days a week and access 12 hours a day, seven days a week, allowing you to get the assistance and access to your unit you need when you need it most. We even offer moving truck rental, the sale of moving and packing supplies in our office, and online bill pay so you can pay your rent from home! Call today to get the best solution in Fresno!